Previously organized in Sharjah, UAE, The Islamic Centre for Development of Trade (ICDT) and the Standards and Metrology Institute for Islamic Countries will organize the 5th OIC Halal Expo in Istanbul under the auspices of the President of the Republic of Turkey Mr. Recep Tayyip Erdo?an. The 3rd Helal Expo 2017 will be merged with the 5th OIC Halal Expo. The event will be held simultaneously with World Halal Summit Istanbul in which conferences to be attended by high level speakers. Speakers will give speeches in the fields of Halal Food, Islamic Finance, Islamic Tourism, Islamic Textile, Halal Medicine, halal chemistry, and pharmacy. 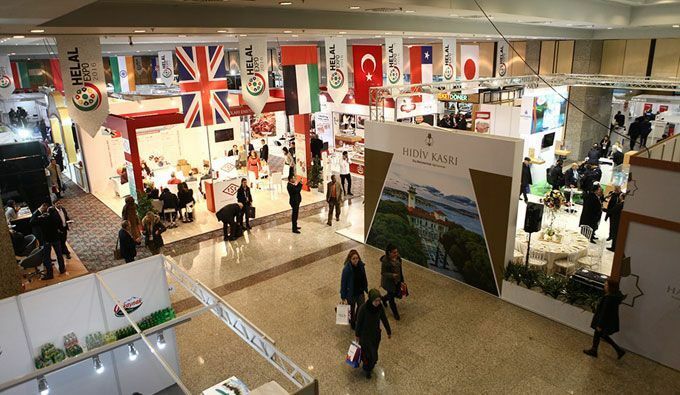 Halal Expo Fair which is the only platform for Halal certified products in Turkey, taking into consideration the commercial expectations of the participating companies actively conducts marketing and promotional activities in Europe, the Middle East, North Africa, the Far East and the USA. It is expected that more than 200 companies and brands will participate from various countries and many related sectors. The international demand for halal products has witnessed rapid growth after reaching a value of more than $2.3 trillion in 2015, according to Organisation of Islamic Cooperation (OIC) reports. The food and beverage industry has the largest share of this industry, dominating with 67 per cent of total trade in halal products with a value of $1.4 trillion. This number is expected to rise to around $1.6 trillion at the beginning of 2020. An estimated 121 million Muslims traveled internationally in 2016, up from 117 million in 2015, representing 10 percent of the entire travel economy. This is expected to grow to 156 million travelers in 2020, spending over US$220 billion. Meanwhile, Turkey is world’s 4th best Muslim travel destination in 2017 according to the most comprehensive research released on the global Muslim travel market by the Mastercard-CrescentRating Global Muslim Travel Index (GMTI) 2017. The 5th OIC Halal Expo will be held between 23 and 25 November 2017 at the Lütfi Kirdar International Convention and Exhibition Center. « Opinion: Are ‘Moslem meals’ on board flights halal-certified?